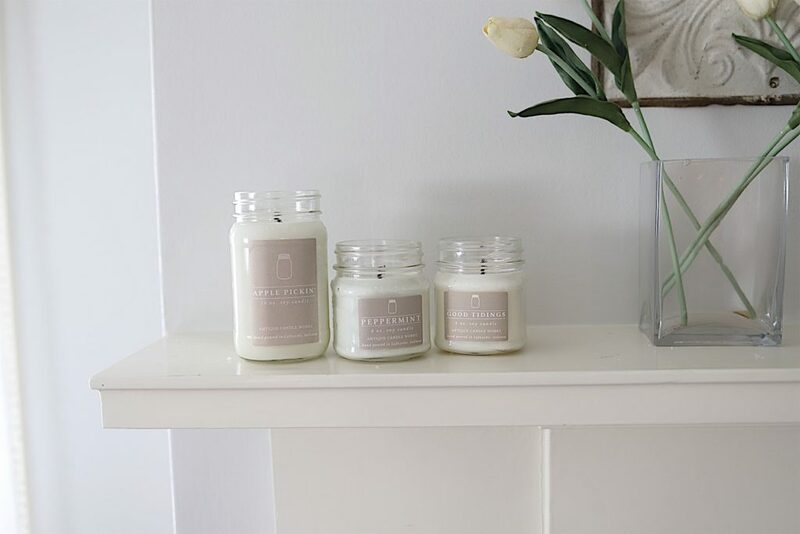 Earlier this week I shared a post about how I added hygge to our master bedroom. I did not go out and buy anything. Rather, I moved some furniture around and added some candles, a reading lamp, and a few blankets. The room still has a way to go (it needs to feel cozier) and I have some fun ideas in mind for later this month. But for now, I love our master bedroom with these few simple changes. You can read more about this blog post titled What is Hygge? These candles from Antique Candleworks are my favorite. I absolutely love them. My friend Janine with Happy Happy Nester wrote a post about How to Hygge for Spring with Flowers. We all know how essential this is after surviving a long winter. Spring flowers add coziness to any home. 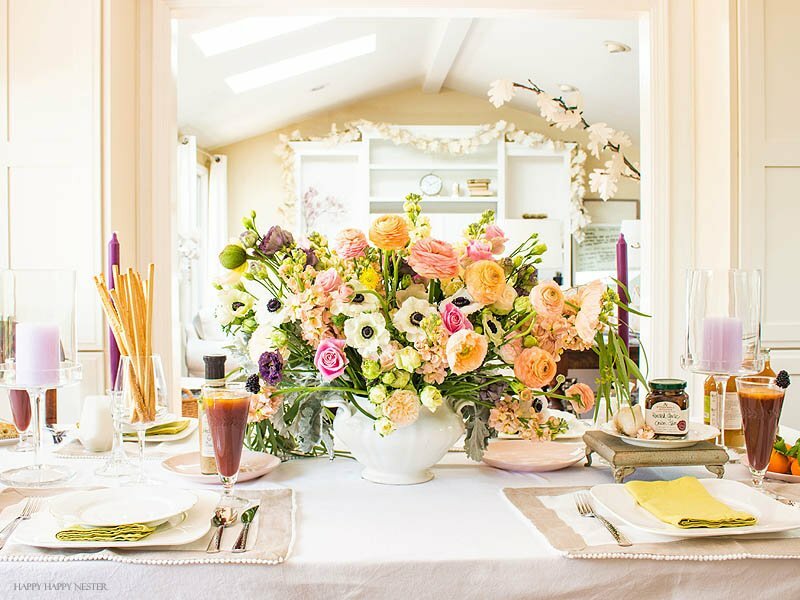 Flowers always create a lovely homey atmosphere, and they immediately welcome people with a beautiful embrace. 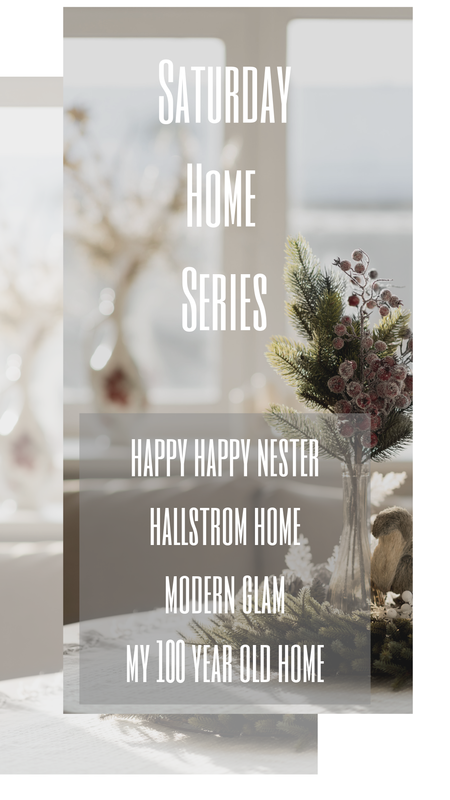 Rhonda from Hallstrom Home wrote a blog post about How to create a Hygge home with her lifestyle guide. 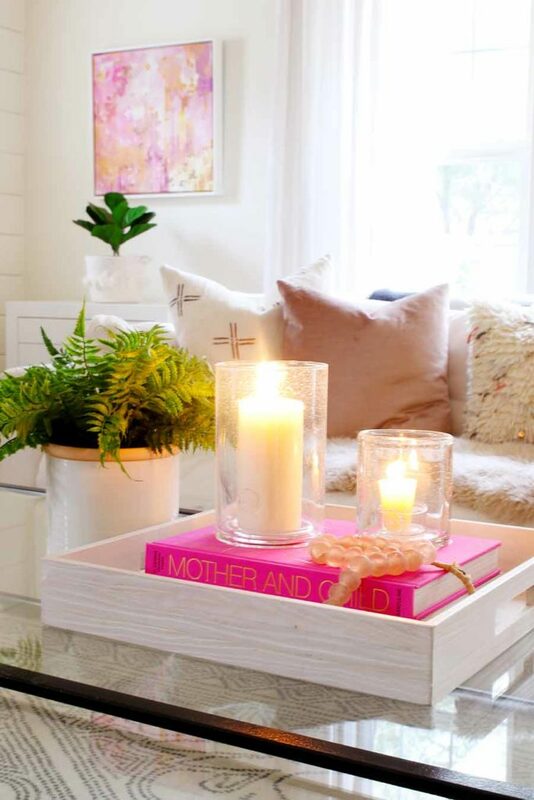 She shares seven style tips on how to add comfort and coziness to your living room. Ashley from Modern Galm shared five easy ways to create a cozy home for winter and learn how to hygge! I love her ideas of how to create a cozy home for winter. 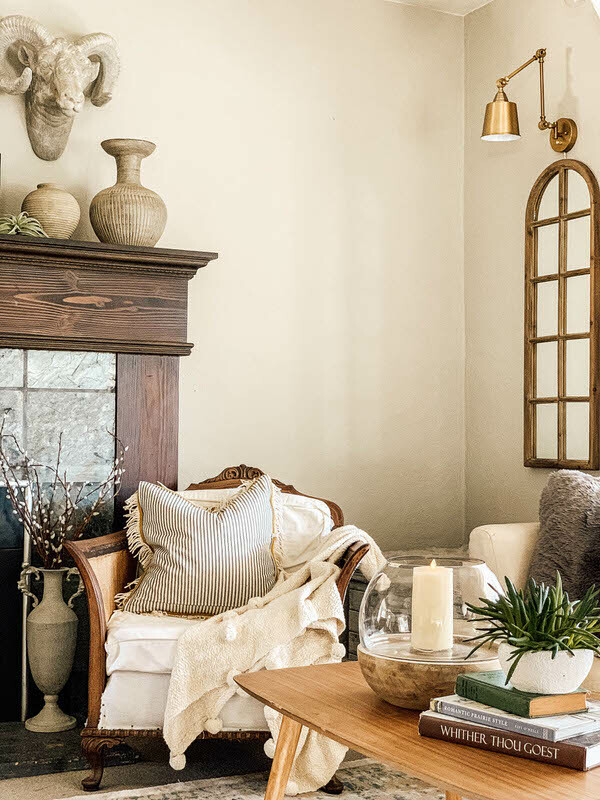 Whether you are buried in snow or sitting on the beach this month, there are a lot of great ideas in these blog posts about how you can add comfort and coziness to your home. February is the perfect month to take a few minutes and incorporate some of these wonderful ideas into your home. Keep it simple but make it comfortable. That’s what it is all about. I’m excited about this Saturday Home Series! I wish I could step into these pictures and enjoy the coziness myself. In the meantime, I am working on achieving that effect myself. Thanks for sharing! My book club book this month is “The Year of Luving Danishly” and it’s at my house on Monday, I’ll be following your lead and bringing hygge in to my home – time to round up my candles, blankets and pillows! Thank you for sharing my hygge guide! I think everyone could use a little more coziness in their homes during the winter months, right?